This article is part 1 orf 2 that appeared on www.allthingswhitetail.com and has been republished with permission. GroPAL.com is not associated with Andy Hayes or www.allthingswhitetail.com - GroPAL has not paid for any endorsements and, until we came across the article and video we had never heard from Andy. You can follow Andy Hayes on www.allthingswhitetail.com. 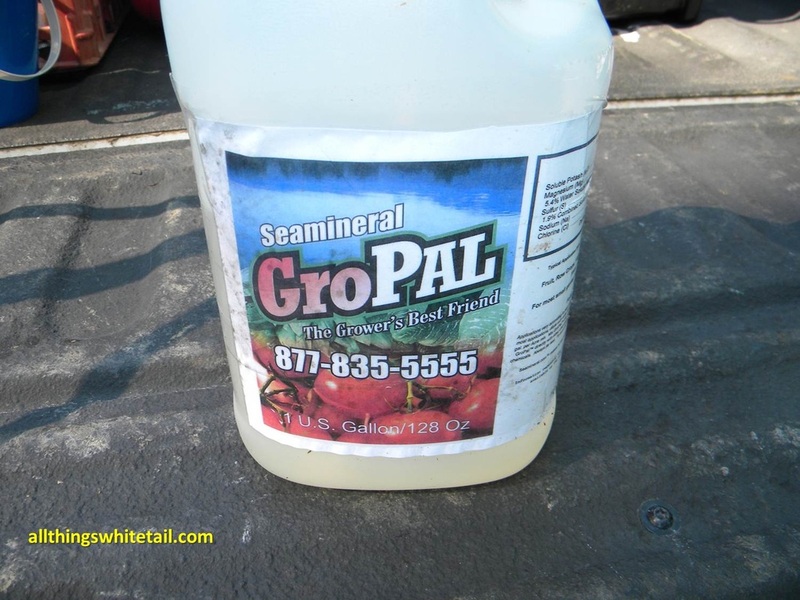 Today Luke and I applied GroPal, a Sea Mineral product, to the Main Plot North Section and all of the East Plot. We set up the Main Plot North to be an experiment on two fronts. One, we want to see how GroPal impacts the overall growth of the plants. I mowed this plot 10 days ago and now after enough time to product new growth, the plants should be ready to take in the product's micronutrients by absorption through the leaves. We installed utilization cages on both sides of the plot to determine what grows better and quicker. 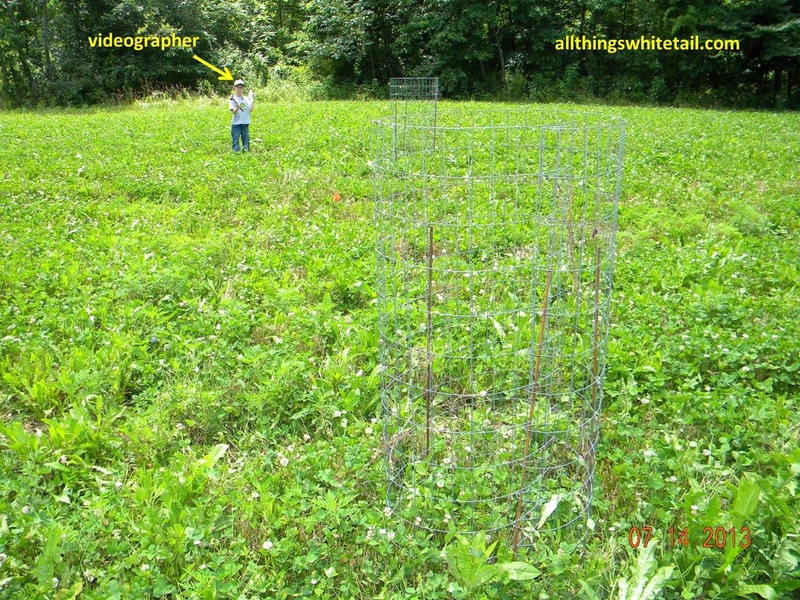 The cages will prevent the deer from foraging so we get an accurate measurement between the two sides (see photos below). 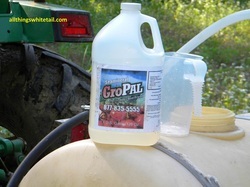 Secondly, we want to determine if the deer prefer the forage sprayed with GroPal. We did not spray the north half of this plot, with the line between the two sections identified by three orange surveying flags. 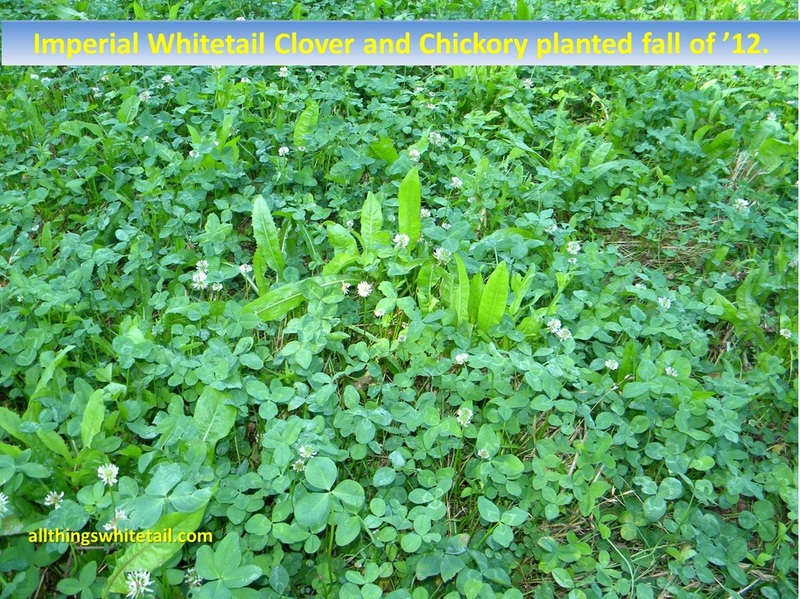 If the product increases plant size and quality, the theory is that the deer will recognize this and naturally select the better forage. 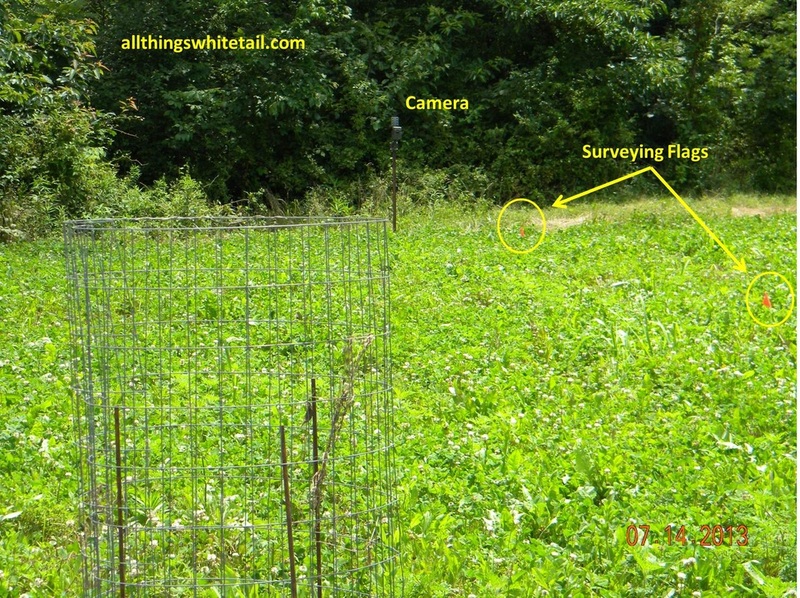 The trail camera was set on the line marked with the flags and will help us determine what the deer prefer. To be counted as a hit on either side, the criteria will be the deer must have their head down in the act of browsing, not simply walking through the plot or looking up. The total photos with active feeding will be counted for each side and a percentage determine from the whole sample. Along with my videographer and 8 year old son Luke, we tried our ability to video tape a minute long segment illustrating our process. Check out the video below and give me some comments on the overall experiment. We will track results over the next several weeks to get a good idea of the product impact.